Monrovia, Liberia - The Office of the Vice President of the Republic of Liberia reassures the nation of the Vice President’s commitment and loyalty to the advancement and implementation of the Pro-poor Agenda for Prosperity and Development as enunciated by H.E. Dr. George Manneh Weah, President of the Republic of Liberia. A statement issued by the Chief of Office Staff in the office of the Vice President Mr. George T. Nimely quotes, Vice President Howard-Taylor saying that she is fully cognizant of her role as Vice President in which she serves as a critical support arm to the President. As Vice President, in strict consonance with clearly stated constitutional roles and responsibilities of the Vice President, Honorable Howard-Taylor is fully mindful of her sphere of duties. Accordingly, she wishes to reiterate her awareness that the prime focus of her energy and intention has always been to lend full support to the Agenda and purposes of the President, not to pursue a separate end of her own. By her grateful acceptance of her nomination by Dr. Weah and the blessed election of the Ticket to national leadership, she undertook an irreversible commitment to always work with and remain supportive of the President. To this she remains unwavering. Vice President Howard-Taylor, the duly serving Standard Bearer of the Coalition Partner National Patriotic Party (NPP), acknowledges creeping political uneasiness within the Party at the moment. As unfortunate as this unwelcome development is, she notes that such scenario is not uncommon in political institutions. She holds however that such should not mislead any partisan to assume that he or she can maliciously distract the Party by resorting to acts bordering on self-aggrandizement and manifested by the spewing of lies and libelous statements about her person and the NPP. As far as VP Howard-Taylor is concerned the National Patriotic Party remains a reliable and unshakable pillar under the indomitable Coalition for Democratic Change, the institution that is destined to change the sad story of this country. Hence, in her capacity as the NPP Standard Bearer, Madam Howard-Taylor remains unfazed by the ill-advised biddings of mischievous elements. She refuses to be swayed away from her preoccupation with the championing of the strengthening and forward march of the Coalition, an alliance in which her Party is a willing and proud constituent member. The Vice President remains firm in her commitment to upholding and defending all party laws as well as ensuring that the NPP keeps glued within the Coalition; staying the course of loyalty and faithfulness to President Weah as he steers our national developmental agenda. 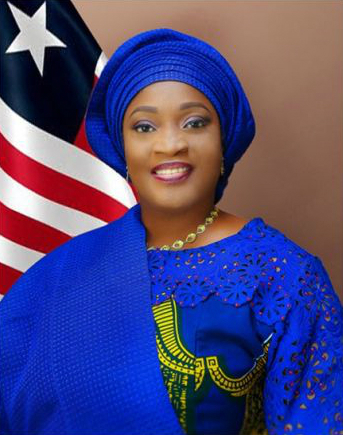 The Vice President assures all and sundry that she remains a committed and supportive Vice President to President Weah and will continue to work in tandem with the President’s desire to change Liberia positively. She therefore enjoins all partisans of the National Patriotic Party to remain loyal to the Coalition and the action steps taken by President Weah in the governance process of our dear country.